More Time For What’s Important To You! We get up every morning to work with business owners, just like you, to support you in transforming your business so that it makes a positive impact on your life, your team, your family, your community and your world. We believe that it takes enormous courage to be the owner of a small business and that courage should be rewarded with the time, money and freedom that you went into business for in the first place. 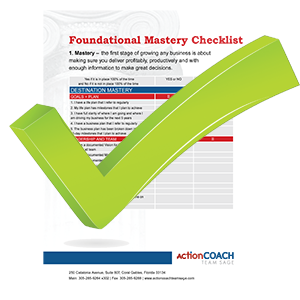 With over a decade of working with business owners, to help them grow their businesses, you can trust ActionCOACH’s proven six step pathway to help you make and keep more money, free up your time and give you the freedom to choose how you’ll invest your time and energy. 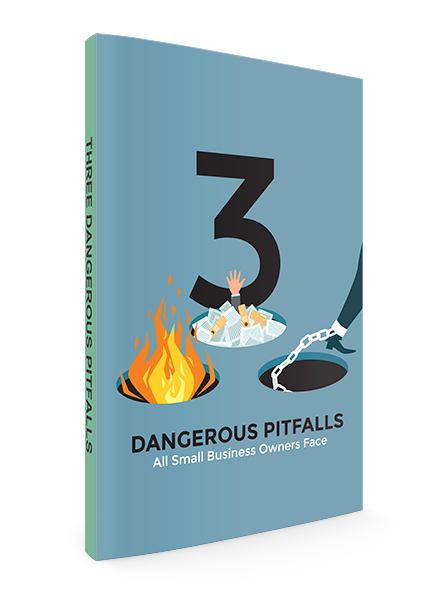 Better Control Over Your Business! At ActionCOACH we say that people are important and systems should run the business! We put our reputation behind our method. When you grow your business using our system, you get control of your company like the thousands of others around the world that have benefited from working with an ActionCOACH through small business coaching! At our ActionCOACH Firm, Team Sage, we believe that a business is about more than just making money, it’s about making a difference. That’s why we tithe to our spiritual nourishment, participate in Coaching For A Cause, are an accredited Evolved Enterprise and are members of B1G1, business for good. Click here to see more about our giving. What’s the most important thing for you in business? If you are like most of our clients, you want more money left at the end of the day, more time to enjoy your life and more freedom to do the things that are important to you! In these times of shifting global markets along with disruption and great opportunity, our clients are more interested in creating a stable base from which to respond to the changes in the marketplace and the ability to scale from a solid foundation. They take comfort in the clarity that working with ActionCOACH provides, so they can stay focused on what matters to them the most. You can count on us for sustainable growth! Check out our testimonials and see how small business coaching has made improved cash flow and efficiency a reality for so many owners of small businesses. It can be a reality for you too! My business and personal life has been completely transformed as a result of having a business coach. As an interior designer, I had lots of creativity but very little business structure. In my first year of coaching I set up systems, understood my financials for the first time, increased my staff and increased my profits by 250%! When I started coaching, I was in personal debt and now I am debt free! My coach has empowered me in every area of life! It's hard to believe that in less than three months, we have come from being an awkward, fly by the seat of your pants organization to a structured, mature enterprise, and I have more time on my hands. Because of your objective perspective and insightfulness, you were able to guide my partner and I through rough transitions to get exactly what WE want for our company. We are truly on a path that is a plan and not just a dream. What it all boils down to is that we have a significant increase in our productivity, profitability, peace of mind and leisure time. Who knew that was possible? What has most impressed me about having an ActionCOACH is the ability to “see” in me what I cannot see myself. This might be something that is keeping me from achieving my goals or something I truly desire. Either way, I inevitably leave the session with a breakthrough. Premier Air Conditioning & Refrigeration, Inc. has been using ActionCOACH for 6 months. Our business has been open for 15 years. We wanted to take our business from a small business to an Elite Company, with the help of Jody Johnson we are working towards our goal. One of our priorities was working the numbers, knowing what to look for in our job costing, profit and loss, and budgeting maximizing profit. I am proud to say we have accomplished this. I not only value the gain in the company, but personal development too. The experience has been amazing! Jody has worked with us side by side to transform our business. She helped us to get a handle on and better understand cashflow and create a strategic plan. One of the most important things was helping us to understand that our job as owners is to grow the business and to grow our team members which freed up our time as the owners. Our revenues have increased by 194% in three years. Profit just under 219% while created 20 new jobs for people in our community of which we are very proud. You took the time to listen and make recommendations that helped our business. You led us thru the exercises that again helped our business. 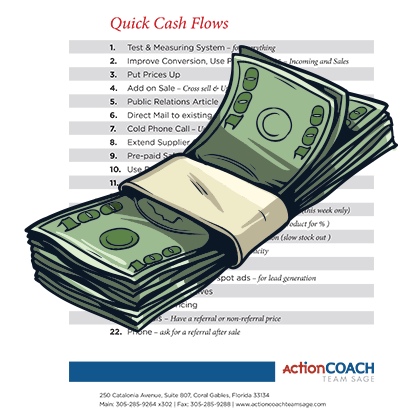 After a few years of struggling and accumulating debt it was our experience with ActionCOACH that made us realize that we were not "bad business owners" but rather uneducated ones. We should have folded and we are still hanging on and I really feel like it was the ActionCLUB that gave us a boost. Words can not say enough THANK YOU for all that you do. Through working with ActionCOACH, I have been able to grow my business, build a tremendous team, and truly understand my numbers. However, the biggest benefit of working with ActionCOACH has undoubtedly been having peace of mind throughout the process! Our coaching experience has been truly transformative. The results we produced speak for themselves. Through this experience I have been introduced to such phenomenal speakers and leaders in the business community. The ideas and knowledge gained in the last 18 months have been life changing. I now have clarity around our margins, discounting, inventory and the importance of having the right team members in place. Our revenue growth was an increased of 50% and our profit increased by 436%. We created a culture by design that attracts potential employees and Yamaha USA has taken notice and commended us for being a model dealership in our industry. Complete this form to request a FREE conversation to see if Business Coaching is right for you and your business.